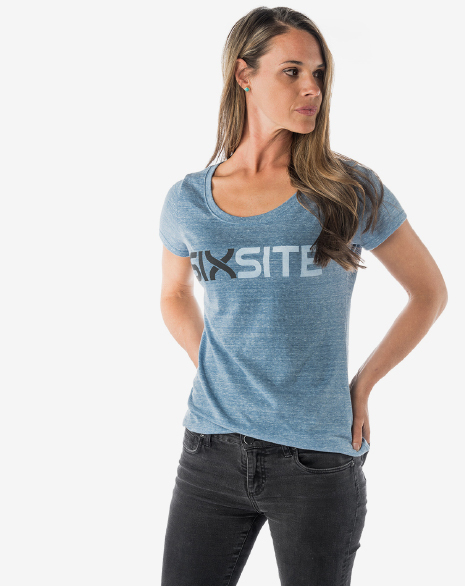 SIXSITE's first t-shirt made specifically for women features a scoop neck and shortened sleeves. Soft yet durable, this heather blue tee is sure to become a staple for any on-the-go activities. "I got tired of Stephen getting to wear all the great SIXSITE t-shirts, so I made one for myself."